If you are looking to work on any PTC websites like Neobux, Clixsense or any other then without getting direct referrals, you cannot earn good money. Even some sites have high cashout limits like $5 or even $10, so if you are clicking on your own, then it will take your 3 to 6 months to reach this limit. Please also remember that this is from one site and if you are promoting 5 such sites then your earning will reach $600 x 5 = $3000 per month. This is not just I am supposing but there are people who are earning such income from PTC sites. They know the art of getting referrals. This is perhaps the best way to get tons of referrals for any PTC site. If you are serious about earning money from PTC sites, then leave all other things and learn this trick how to create your site. In your site you may provide people guidance about which site is legit and which one is a scam, writing reviews, advice on how to work on such sites and any other way you think better. Once people start to enter your site from the search engine, they are very likely to convert. You can imagine the results if you have a site and getting daily 1000 visitors then suppose only 5% people convert, then you will get daily 50 referrals and monthly 1500 referrals. This is very much achievable, but it will take time. You should write quality content to your site and write regularly. In this way, you could enhance your reach, and more and more people are coming to your site. You need a domain and hosting to start this venture. After this you can choose any CMS system like WordPress, Joomla for your site that are totally free. If you think this is difficult for you then please look at my #1 recommendation that guides you all through how to make money online and rank your site in search engines to get the best results. This is another great way to get direct referrals for your site. Of course, it will cost you money but most of the time you will get positive return on investment. For this pur[soe the best way is to choose the platforms very carefully/ Two most popular platforms are Neobux and Clixsense. 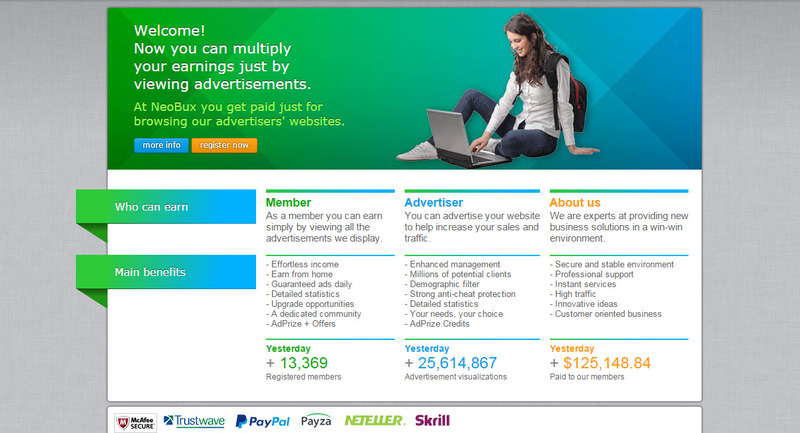 Let’s say you have joined both sites then the best way to advertise on another site. 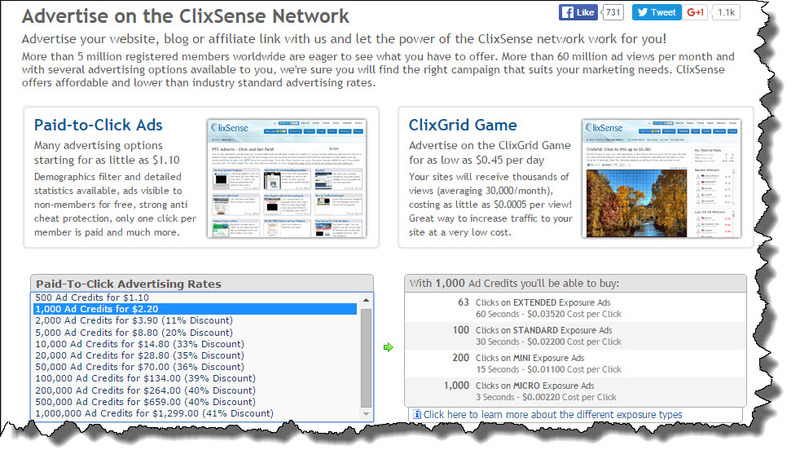 For getting referrals of Neobux, you must advertise on Clixsense and vice versa. These are very popular site and getting tons of traffic daily, and it is very likely that you get conversions. The next thing you should remember that you should avoid on the same site. For example, if you are advertising for Neobux then you should not advertise on Neobux. Another thing you should remember that the advertising should be in the form of fixed advertisement (sticky ads), and banner advertising on another PTC websites rather than using credit ads. Though fixed ads cost you very high like $50 plus per day for most of the sites, it will get you 20 to 30 referrals. This is another great way to be part of such sites. Find forums that are very active and related to this niche. First stay active on those forums and questioning sites and after some days share your affiliate link or your site while you answer a certain post. Please remember that don’t spam like just share your affiliate links everywhere. The best way is to provide a solution to the question and if your affiliate link naturally fit in such sites then share it. Though this method does not get you tons of referrals if you don’t have money, then this is the best way to proceed. It also takes your lot of time and hard work. The whole concept of traffic exchange sites are very simple. Join as a free member to these sites and earn points by surfing other people sites. Once you have enough points, then you may also advertise your blog or affiliate link to other people. This is the most simple and the easiest way to get referrals. Remember that join only those platforms that are getting good traffic daily. I am sharing you some very popular platforms that are working great for most of the people. People now use more video sharing platforms than any other for getting useful information. Create professional looking videos and share it on YouTube, Daily Motion, and Vimeo. There are billions of viewers visiting such sites, and they are looking for opportunities which don’t cost money. So the first name that come to mind is PTC sites. Video creation is also a simple way and you may use any of the tools available online. The most simple form of this process is using MS Powerpoint and convert that presentation into video. Though if you create a much professional video you will get more conversions. Facebook is the most widely used social media platform and you can get more targeted people by searching PTC, Clixsense, Neobux and other similar words. You can find a lot of people within groups and fan pages. The other way is to create a PTC page and to promote this to other people. Apart from this, there are other social media sites to find the likeminded people on such platforms. Other popular social media sites are Reddit, Twitter, and Google+, etc. I have mentioned a lot of ways that you may utilize and get referrals. To my side creating your own blog and promoting PTC sites are the best way to get direct referrals. This is the cheapest and legit way. Though it may take time once you are committed to this way time will come that you are getting hundreds of referrals daily. If you don’t know how to create a good site that can earn you good earning regularly and for the long term, then see my #1 recommendation called Wealthy Affiliate. After lot of research, I found that only blog is the sensible way to Recruit Referrals. While the other ways might work but you will always need to put your effort and money. # Need only one time small investment and setup. # Need some effort for first few days, once successful – no looking back. # No control of campaigns. # worst part – sometimes not even return of Investment. # loss on Rented referrals – neobux, clixten …..
# Loss of money buying direct referrals from 3rd party. # Loss buying advertisement across many PTC site. No referrals, inactive referrals, less referrals in comparison to Ads prices.